Super excited about this article!! 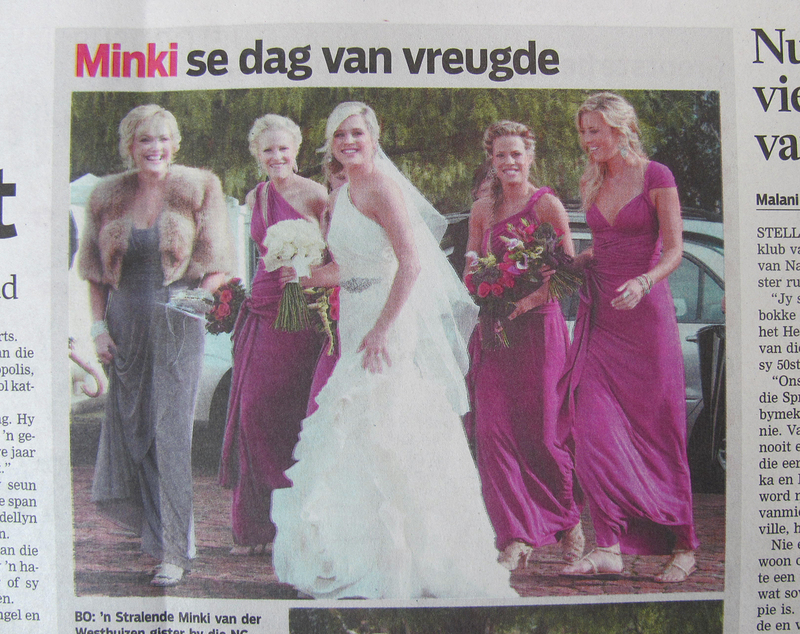 Minki van der Westhuizen’s bridesmaids dresses by Alana. Hi Morag! I normally start by setting up a consultation where we can discuss details, such as design, colour, fabrics etc. But if the dresses are very simlilar to the ones above, I will only need a few measurements from the girls. I would however ask them to come for at least one fitting….whereabout are you/they situated? I can email you a quote and then we take it from there.